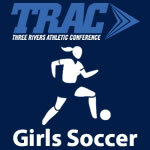 Soccer Girls – TRAC Sports – The Official website of the Three Rivers Athletic Conference. 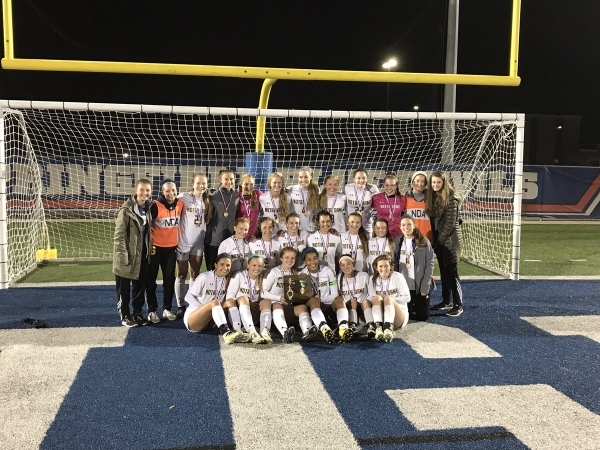 TRAC Player of the Year: Ashley Barron – Notre Dame Academy – Sr.
TRAC Goalkeeper of the Year: Kennedy Slovak – Clay – Jr.
Ashley Barron – Notre Dame Academy – Sr.
Kennedy Slovak – Clay – Jr.
Payton Rigg – Clay – Jr.
Chase Ebanks – Findlay – Sr.
Grace Turski – St. Ursula Academy – Jr.
Rylee Clark – Clay – Sr.
Hannah Miller – Notre Dame Academy – Jr.
Morgan Beyer – Central Catholic – Sr.
Sydney Rudolph – St. Ursula Academy – Jr.
Morgan Henkle – Whitmer – Sr.
Emma Hoyt – Notre Dame Academy – So. Morgan Kirk – Findlay – Sr.
Madison Mlsna – Findlay – Sr.
Bella Mabry – Clay – So. Miranda Sullivan – St. Ursula Academy – So. Kendra Wurm – Findlay – Sr.
Lily Turski – St. Ursula Academy – Jr.
Tayler Wells – Central Catholic – So. Rachel Spencer – Notre Dame Academy – Jr.
Lauren Clark – Clay – So. McKenna Mee – Whitmer – Sr.
Alyssa Stark – Notre Dame Academy – Jr.
Livi Hurst – Central Catholic – Fr. Gracie Tate – Whitmer – Sr.
Kailyn Cibrowski – Clay – Fr. Caitlin Fraley – Findlay – Sr.
Meredith Foster – St. Ursula Academy – So. Alli Currey – St. Ursula Academy – Jr.
Melanie Whipple – Central Catholic – Jr.
Sydney Lang – Central Catholic – Sr.
Chloe Shaffer – Central Catholic – Sr.
Jayla Musselman – Clay – Sr.
Jenna Vislay – Clay – Jr.
Caitlyn Kulwicki – Clay – So. Kaylee Brodine – Findlay – So. Ellie Zawisza – Findlay – Jr.
Emma Heidlebaugh – Findlay – Jr.
Sophie Collison – Fremont Ross – Sr.
Kelby Bickley – Fremont Ross – Sr.
Justine Michael – Fremont Ross – Sr.
Morgan Twining – Lima Senior – Sr.
Janae Saavedra – Lima Senior – Sr.
Jenna Wentling – Lima Senior – Jr.
Aishlin Armstrong – Notre Dame Academy – Jr.
Sydney Unverferth – Notre Dame Academy – Sr.
Iliana Calcamuggio – Notre Dame Academy – Fr. Molly Calgie – St. Ursula Academy – Sr.
Grace Anne Poturalski – St. Ursula Academy – Sr.
Olivia DelVerne – St. Ursula Academy – So. Gillian Thacker – Whitmer – Sr.
Cloe Ries – Whitmer – Jr.
Danielle Pluszczynski – Whitmer – Sr.
No TRAC schools are ranked in the final weekly 2018 OSSCA Girls Soccer State Poll. No TRAC schools are ranked in the final weekly 2018 Ohio Scholastic Soccer Coaches Association Girls Soccer State Poll. 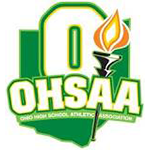 By npohlman|2018-10-18T10:02:48-04:00October 17th, 2018|Scores, Soccer Girls, TRAC|Comments Off on No TRAC schools are ranked in the final weekly 2018 OSSCA Girls Soccer State Poll.